Come to our office in New Bern if you need a cavity filled, a broken tooth repaired or any other dental restoration. You’ll find that our experienced and stable staff, our commitment to staying on schedule for appointments, and our advanced technical capability to provide dental restorations sets us apart from other offices. 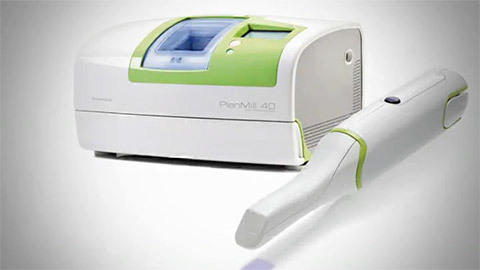 We’re the only dental practice in New Bern to have a Planscan E4D system, a sophisticated and advanced computer enabled system for producing single-visit metal-free crowns and other restorations. You can be fitted with a beautiful, permanent crown in a single visit to our office, with a minimum of inconvenience. Cavities are caused by a number of causes, including diet, the health of your teeth, medications or brushing habits. When a cavity forms, a filling will restore and protect your tooth with tooth colored materials that blend beautifully. If a tooth is broken off or cracked, or if it has become severely decayed, it becomes necessary to restore the tooth with a crown. We’re the only office in New Bern with a Planscan E4D CAD/CAM system, which allows us to design and produce ceramic crowns that will fit your mouth perfectly. And they can be placed in only one visit to our office, so you won’t need to wear a temporary crown. If you need to replace one missing tooth or multiple missing adjacent teeth, a bridge can be an option. A dental bridge is a restoration that provides one or more replacement teeth by connecting to the teeth on either side of the gap left by the missing tooth or teeth. In most cases, we can provide same-day bridges in our office while you wait. 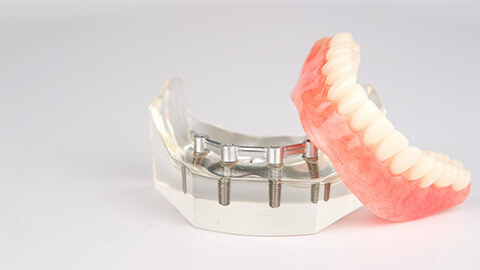 Dental implants are a great way to permanently replace missing teeth or provide anchors for a removable plate. Because they are integrated into your own bone, they are also very comfortable and stable. To learn more about our same-day dental restorations or to book an appointment with Dr. Hand, please call our office today.